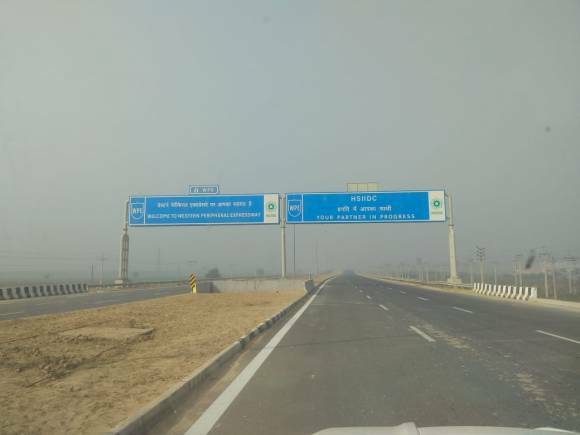 With Prime Minister Narendra Modi inaugurating the 83.3-km-long section of the Western Peripheral Expressway or the KMP Expressway from Kundli to Manesar, the entire Ring Expressway panning over 200 km around Delhi is now ready. "The draft plan for the five new cities to be developed along 185 km Kundli-Manesar-Palwal (KMP) and the 50 km area along Kundli-Ghaziabad-Palwal (KGP) that falls in Haryana is ready. A massive industrial, commercial and residential corridor along two km on either side is planned. As many as 25,000 hectares are expected to come up for development. The area would be bigger than Delhi," he had said in October. "Now Sonepat-Kundli is well connected to Manesar and Gurgaon industrial belt. Even the airport is an easy drive away. We expect an immediate fillip to the real estate market in Sonepat-Kundli. A lot of people will find it easy to live here and commute to Gurgaon. There is a huge increase demand for industrial and warehousing lands as well. We expect the prices to rise by 15-20 percent in the short term and more importantly rise in actual inhabitation in this belt,” says Pankaj Bajaj, president, CREDAI-NCR. Anshul Singhal, CEO, Embassy Industrial Parks, told Moneycontrol that already 1.5 million sq ft of space has been leased out. “A highway project such as the KMP impacts the entire logistical support of the country as vendors and suppliers would use it as a route to ship and receive goods from the region. As a whole, it would increase operational efficiency. Along with GST, it will increase the ease of doing business,” he says.